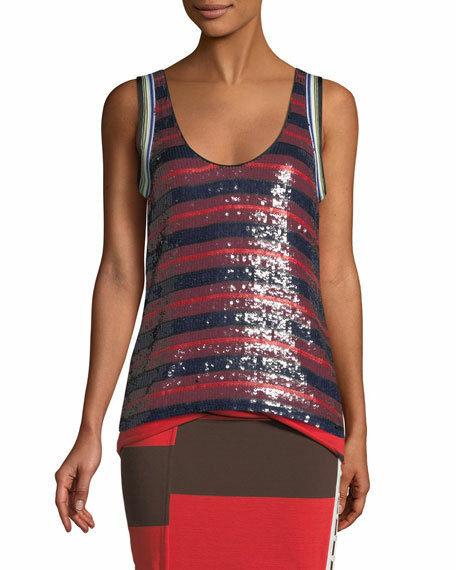 3.1 Phillip Lim tank in sequined stripes. 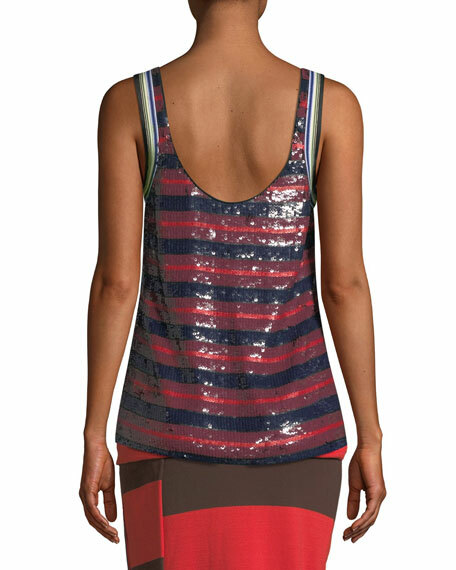 Contrast, striped trim at arm openings. For in-store inquiries, use sku #2509436.